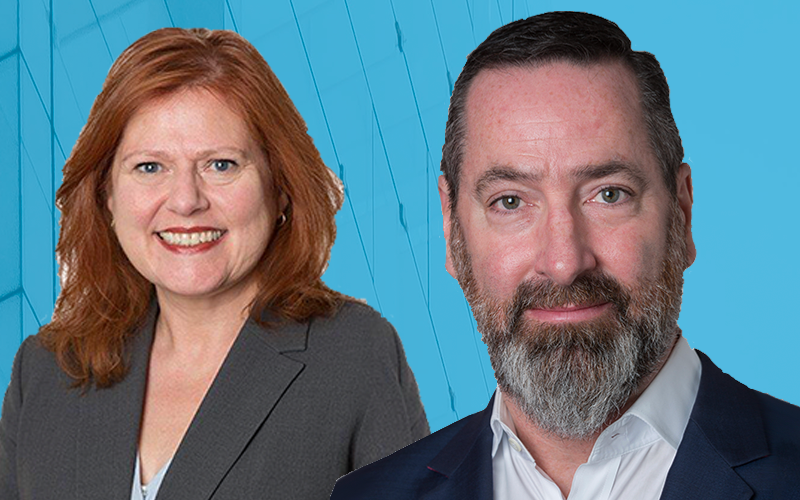 On Episode 201 of the Happy Market Research Podcast, I’m talking with the dynamic duo, Ann Green and Stephen DiMarco from Kantar. This is an exciting episode. We unpack customer experience from Kantar’s position, one of the leading insights professional companies in our industry. Today’s episode is brought to you by GreenBook. The GreenBook directory helps you find marketing research suppliers, facilities, and consultants. Additionally, GreenBook helps modern marketing researchers understand industry trends via the Grid Report and the IIeX Global Conference Series. To find out more, please visit GreenBook online at GreenBook.org. Hi, I’m Jamin Brazil, and you’re listening to the Happy Market Research Podcast. My guests today are Ann Green EVP and Stephen DiMarco, Chief Digital Officer at Kantar North America, Insights Division. Kantar is a multi-national market research firm known for innovation. They actively manage BrandZ, which is an annual, top 100 most valuable global brands ranking, and in 2015 announced a partnership with Snapchat to provide the first analysis of advertising effectiveness on the Snapchat platform. Ann and Stephen, thank you very much for joining me today on the Happy Market Research Podcast. Stephen – Thank you. Nice to be here. Our chat is going to center around one of today’s hottest topics: customer experience. But before we dive in, I’d love to know a little bit about each one of your backgrounds. Ann – [laughs] Well, I think it’s fair to say that no child grows up and actually says, “Mom, Dad, I want to go into the field of market research.” It was a bit of a fluke for me. I ended up at a liberal arts school where I studied marketing with a math minor. At the time, I really didn’t have a good sense of what I wanted to do and a saw an ad, an actual newspaper ad, for a position in the field of market research, and it just so happened I thought, “I can do this.” And the rest is history. You know it’s funny. Several people that I’ve interviewed wound up in market research through an advertisement in the paper. For those who don’t know, that was the jobs listing for local opportunities. Don’t worry. I’m ahead of you. That’s fine. So, Stephen, you managed marketing at Comedy Central FX, and you co-founded a startup during the height of the dot.com bubble. How in the world did you wind up in research? Stephen – It’s funny. I don’t see myself in research, but I will tell you how I got into the role I’m in right now. Like Ann, I studied marketing in college and, when I wasn’t studying or doing other things that college kids do, I was actually a DJ for the campus radio station. So I’ve always had a strong interest in marketing and music. I started my career at a record label doing everything you can imagine and decided that, while I like music, the music industry isn’t for me. So I thought long and hard and really committed myself to marketing and helping marketers becoming better marketers. What better place to do that than a company who’s got a treasure trove of consumer data that you can use to make difficult decisions about all of the things that marketers need to, ranging from which consumers to target, how to engage them, how to measure ROI. I guess ultimately, I did wind up in a research role. So, we’re going to talk about customer experience. We’ve gone through such an evolution over the last two decades of my career. What are two ways that Kantar is creating amazing experiences for your customers? Ann – Well, we have the opportunity to work with most of the Fortune 500; so, we are working with folks the likes of Google, Facebook, McDonalds, Coke, American Express, Kaplan, you name it. There is an interesting common thread that is emerging: that they are very much looking for research companies to raise the bar, both in terms of the suppliers, the partnerships they work with as well as internally. And they’re raising the bar in terms of how they use research within the organization. We’ve really invested in two areas in changing up the experience that we provide. The first is around client engagement. So, we really work with marketers to understand what their pain points are, what their problems are. So we don’t work on a project or product basis. What we do is we really partner up with brands to understand and get underneath the hood in terms of what it is we need to solve for. And we invest in our own teams: we actually train them in terms of listening skills, in terms of discovery skills so that they can really feel confident in getting to that point of shared understanding of the problem in front of them. I think the second way in which we’re changing up the experience is with delivery. If you think about the delivery reports, they have legacy basis, data tables, or a power point report or, if you are lucky, so sort of dashboard. And that doesn’t necessarily get absorbed by the organization. That just become something that sits on somebody’s shelf or sits in a folder on their laptop. What we need to do and what we are doing is we are really investing in the delivery of our research and going beyond standard reports and providing our clients with workshops where all stakeholders come together and talk about what the findings are and, most importantly, what to do with them. How do we action them? OK, so, the pain points is really interesting. The thesis that I entered into in September when I launched this podcast is that there is a growing divide between what marketing research at an agency level is delivering versus what the brands actually want. In many cases, – I’m thinking specifically about the interview with Stacey Walker at Adobe recently; she actually used that framework as well – you can’t just force this standard methodological approach anymore. Similarly, on the delivery side, it’s not about the report or the “thump factor,” which is again paper-based reports… thicker is better in the old days. But it’s about operating research in lockstep with the executives and at each point the decisions are being made. That’s one of the reasons why she believes that things like CX is growing far and away faster than traditional market research as a job function inside of brands. Stephen – I think you’re absolutely right, Jamin. Adobe is actually another client of ours, and we’re doing some innovative work for them. So, it’s great for us to stop doing the type of research that’s backwards looking, may be interesting and sits in a bookcase somewhere, and much more interesting to partner with the client, co-create on what they’re looking for, provide the insights that they need at the moment and time that they need them so that they can generate a business decision that has an ROI. That’s kind of tongue-in-cheek why I said I don’t see myself as a market researcher; I see myself as a clever person who knows his way around data in the effort to make a business decision. I love that. And then the final delivery… To your point, where we used to deliver cross-tabs and then power points and written reports in many cases to later dashboards being really the monitoring of the overall organizational health. Recently, I asked another (I can’t tell you who but another Insights leader) about dashboarding capabilities. Finally, I looked at him and I said, “Tell me what dashboard you actually used to make business decisions.” He was hard-pressed to come up with more than one; and that actually centered more around BI as opposed to consumer insights. It’s about the deliverable here is the benefit to the organization to make good decisions and actually have a positive ROI on research as opposed to being a cost center. Stephen – Yeah, I talk about dashboards being three categories. One is “always on:” it’s up on your screen; you’re looking at it because you can’t live your life without it. One is “alert-based,” which is when something happens you get a text message or something to go check it out. Or the third is “ad hoc:” you go there when you need it and you enter in a search query and, hopefully, you get back what you need. Much better to be in the “always on” category; lucky if you’re in the “alert” category;” not good to be in the “ad hoc” category ‘cause that’s where most of them are. That’s absolutely right, and that’s where the disruption is taking place, of course. So, how are brands using your research specifically effectively to empower their CX? On about a 400 million run rate, right? That’s what even more insane. [laughter] A 20X top-line revenue. And we know that Sample like there are some costs in that multiple that are still… they’re getting credit for, which just speaks to the overall market view of the value of this category. Stephen – Yeah, it’s a very heated market. Eight billion dollars by SAP. What we’ve since learned is that Quatrics, Medallia, and Survey Monkey, who are all at different levels collecting customer information so that you can analyze and act on it, they’re all backed by Sequoia Ventures, which is a VC firm. I have to give credit to the partner team at Sequoia for their investment thesis that this software is, as service capability, is going to be really, really profitable. They made a great bet. Anyway, back to the story. Once brands have these CX platforms, whether it’s Medallia or Qualtrics, implemented, they have it always on feed of customer insights that they’re getting that they can use to understand as we rolled out this new brand promise and it’s taking effective in how we touch our customers, whether it’s through online interactions or retail interactions or, if it’s a car dealer, through their dealership or agency interactions, are we delivering on the brand promise at all points in time? It gives them real-time information feed about where they’re performing and where they’re underperforming to really continue to hone and advance their customer experience. It’s a soup-to-nuts approach to really re-engineering how people think about engaging with their customers around the brand promise and then delivering on it all the way through to purchase and post-service interaction. What does that look like from a product… Is it really a combination of – I’ll call it – software that is the logistical element of the pulse of the customer and then, the human element obviously, on the deployment of those systems and then also the on-going recommendations? Stephen – I mean you nailed it. It’s basically technology-enabled, data collection and dissemination through software as a service model. So companies will have a Qualtrics platform implemented for them and instrumented for them based on whatever business they’re in – whether it’s the hotel, airline, auto, retail, financial services – it works for any company that has customers; these platforms work. So, they’re instrumented similar to how a CRM system, SalesForce.com, ERP system – it’s a piece of enterprise software that you access through a portal. But, even though you’re collecting all of this information and it’s getting displayed through this portal on the website, you really still need a lot of professional services: you need help interpreting the data; you need help taking action on the data and making sure that your actions are generating ROI; you need help connecting more data into the CX system so that you can start to bring transaction data in, other first-party data, maybe you’ll bring in third-party data like weather data (So how is weather impacting customer experience at any different point in time?). It really is a piece of software that needs a lot of contextualization around it. Ann – I think it’s really interesting though to think about customer experience in terms of why it has become such as important topic for marketers lately. And, Stephen, you had mentioned that really the customer experience is the way to deliver and bring to life the brand purpose. That has become such an important element because, financially, if you look at the economic trends, one of things that you find is that people are spending more on experiences than they are on things or products. So, financially, for marketers to grow, it makes sense for them to be spending a lot more time in understanding what that experience could be, what people’s expectations are, and how they can deliver against that experience in new and different ways. Just think about Delta: many years ago, Delta was simply a means to get from one place to another – it was a flight; now Delta has become an experience. It’s everything from your on-board services to being able to order a cocktail at the actual gate. So this is something that is very much financially driven and recognized as an area of importance to brands today. It’s so interesting companies like Starbucks in a lot of ways built their whole company around this thesis, and it feels like we as an industry over the last year or two have really just started catching up with framing it in words and then figuring out what the terms of trade look like. I really like, Stephen, your framing of this like context of data. Traditionally from my experience, market research data (behavioral, transactional, whatever) usually sits in some silo and getting those things overlaid is immensely powerful but oftentimes, timing-prohibitive. So, the fact that you’re helping connect the dots through your set of solutions is really important. And I think the second part of it that’s really interesting is… (I’ve been hearing this term; It’s not a new term, but I’ve been hearing it said more lately.) HI or Human Intelligence versus AI or SAS or what have you. So, it’s about leveraging of the human expertise to overlay and help even create a deeper context of those insights so that they can move the business in the right direction. Stephen – We’ve actually had success with both of those. We have a really excellent qualitative capability. Many, many, many people across North America, who have a strong background in qual., who will then help contextualize the data – again to use that phrase – that’s coming out of a Qualtrics or Medallia because, if you don’t, you’re just going to get a lot of behavioral data and you lose that human element; you lose the “why”; you lose really the kind of core idea that makes it an experience versus a transaction. But, at the same time, we have a really incredible analytics team, who does machine learning, neural nets and are just spectacular at that, which you’re not going to get out of a typical CX platform yet – they’re just not that advanced. So you really do need the two of those. You need that combination of human understanding but connected data, technology-powered analytics to get to that next level of insight that’s going to drive the differentiated customer experience. Alright, so let’s take it down then to sort of brass tacks. If you were a brand manager at a startup CPG company (so, not Proctor & Gamble, per se), what types of research would you do in your first year, assuming you had a finite budget of a quarter million dollars? I liked it, I liked it. We all liked it. Stephen – Sorry. Ann, the non-soapbox is yours. Ann – [laughs] I think, taking it to a very practical level, one of the things I was just talking about was the change in terms of people’s expectations in terms of their experiences. Foundationally, marketers need to have a new understanding of people; they need to demonstrate that they really understand people. I think there’s an assumption because we have so much data, that we must have a good understanding of people. And that’s not necessarily the case. With data, what you have is observations; you have behaviors. But you also need to understand what people feel, what they think, how they live, what their personal pain points are, and what they want brands to solve for. So, in all honesty, where I would start is with something which is much more ethnographic in nature, much more segmentation-based to get to a foundational understanding of how I can establish a brand that really demonstrates it gets the consumer, it gets the customer. Stephen – Your question… Is it not whether it’s P&G or startup CPG company, you can almost assume that most companies when it comes to research are doing kind of a zero-based budgeting approach. Another way of kind of framing your question is what’s the first thing you would spend research on if you were a brand manager, assuming that you had to argue for every other piece of research. And I could not agree more with Ann because that foundational segmentation research is going to pay dividends over years of time as more and more marketing programs are built off of those foundational insights. And those foundational insights are going to be the things that allow you to differentiate in the market in the first place. Doing an advertisement effectiveness study to demonstrate media ROI is important because you want to know did this piece of content distributed on this media platform have a greater return than another piece of content on another media platform. But there you’re still just kind of optimizing at the edges. What Ann is talking about is really kind of game-changing, foundational researches. If you do it right, then that first year budget of $250,000 is going to generate such valuable insights and actions that that $250,000 is going to turn into $500K the next year and into a million dollars the year after that, which is kind of like a self-funding research program, which is what we advise clients to try and do. And, if we’re not providing ROI on our research and our clients aren’t getting ROI out of the actions that we’re taking, they’re taking on our recommendations, then “Houston, we have a problem,” as they say. I like that a lot, and I’ll misquote, of course, but “Data isn’t understanding; it is observation.” And you have to connect this to the human’s feelings, the consumer’s feelings, whether positive or negative or what have you, in order to get that full context of how the rest of the projects that you do and the inputs that you get to understand how they make sense and what they actually mean and what the organization should do. So, there’s lots of new, fancy technologies. We’ve got to talk a little about that: AR, VR, so Augmented Reality, Virtual Reality; Voice whether it’s Google Home or Alexa. This all is impacting consumer experience. How will they impact research? Stephen – That’s good. You said Alexa versus Google. Interesting. Now we know where your loyalty lies. Stephen – Good save, good save. It’s a really good question. These new technologies kind of play in two dimensions at the same time. Brands are using them to create new customer experiences. Using Alexa as an example, brands are building out skills or actions on (My Alexa just turned on as a said that; it’s now glowing blue.) They’re building out actions and skills that help kind of ingrain them in the voice-activated world. They’re not selling as much as they’re providing content that keeps them relevant. So, it’s happening in the consumer space; so, we need to figure out how to conduct research there. We’ve started to do that: we’ve been working on chatbots for a while. We have a chatbot that we use where we direct some of our respondents to go and people that we’re interviewing. We’ve actually built out a couple of pilots on my voice-controlled device that I’m not going to name right now lest it turn blue again. They’re information collection platforms for us. Right now, they’re information collection platforms; they have not become insights collection platforms. Part of it because the technology is different than writing a survey or analyzing a piece of customer data that might come in through a transaction log or website visitation. How you guide a consumer through a series of questions, it’s a whole new art form. I mean it is absolutely a new language, and the devices themselves are not always respondent to different dialects, to different brand names, to different product names. So we’re going through the process; it’s a learning process to use them as research mechanisms, and we’re figuring it out as we go. Ann – We care a lot about the nature of the experience changing and the nature of the desired customer experience changing. And I think it’s really important that these tools be used in a new way to engage our people because they are much more organic ways of engaging with them than we have had historically. They are very used to utilization of chatbots; whether or not they know they are chatbots or not, they are used to the nature of that interface. They are used to being able to use voice skills and ask for things or give information to their device. They are used to being able to do things more in the moment; so, imagine being able to use a voice device when somebody mentions a specific brand and having the ability to ask them questions about that brand. It’s going to become much more organic and natural and part of an understood experience for people than it ever has been before. It removes a lot of the artificiality that we’ve had in research historically. Yeah, I think it’s interesting that voice framework is, obviously, the prequel to AR – Augmented Reality and Virtual Reality – although, obviously, there’s technology that’s centered around those things now, none of it is operating at scale and yet we have seen an opportunity to get closer to the consumer through voice. So, the consumption of content all of a sudden becomes passive. The way that I can interactive with my brand app or skill while I’m driving is completely different than it has been historically, whether it’s purchasing something – which I’ve actually done on this show on accident. I purchased some paper towels on the device that won’t be named. I also purchased some markers. The paper towels actually showed up; it was a different brand than I thought, which is a whole different thing. And then the markers… I cancelled that order because it was like a 3500-dollar order, and I think I bought all the markers in North America. I like your very practical example of a way to be able to do that. The other piece that’s interesting is the brand budget consideration. You think about an add-on service – I’ll call it just “surveying through voice brand experience” or what have you. That doesn’t fit squarely in the qualitative and quantitative bucket. Are you guys seeing brands becoming more adaptive to where they’re willing to spend through new technologies or approaches or more like qualitative at scale, which is kind of what we’re talking about? Stephen – To be honest, I think it’s early days; so, brands are seeing it as experimental and not putting it into a type of bucket yet. They’re either going to put it into an experimental bucket or they’ve got a bucket called Voice, and it’s tied to someone on the marketing team or the strategy team that said, “We need a voice strategy. What’s the voice strategy for our brand?” And they run off and they try to do some stuff and come back to satisfy a question. It has not hit scale yet; so, it really hasn’t normalized yet. Ann, I don’t know what your sense is. Stephen – It’s just not there yet. This is where I put my kind of marketing research “shmethodology” hat on. You have to worry about the distribution of the devices. And are they representative? And then all of the other issues around the language you need to speak to get insights that you could really rely on to take action on out of the call it qual, call it conversation, call it voice-activated survey, whatever it is. It’s like playing in a sandbox right now. We’re not anywhere ready to scale it in any way. Ann – I think that one of the things that we found was really interesting was initial work we had done was that the device and the research had been trained based upon British English as opposed to American English and how that small seeming subtlety could actually really throw off the learning from these types of engagements. So we do have to be really smart and really disciplined as to how we engage in this space. The invisible customer journey is a big problem or will become a big problem for the brands that aren’t connecting at an emotional level so that when the consumers of the dish soap or whatever place their order in five years (I don’t know when that’s going to happen. ), it better not be dish soap. What’s interesting is I know that Google and Amazon are buying a lot of the generic names. So generic paper towels are now owned by Amazon, I believe. So that all of a sudden puts squarely the purchase power in Amazon’s lap, which there is a million different ways – well, probably a half a dozen ways, they could monetize that – either through the CPG’s. You’re right it’s not at scale but it’s also something that brands need to be paying attention to because once it hits scale, it’s going to be really hard to be able to address. Stephen – Well, this is what we talk about with our clients a lot, which is what we’re really going through is an incredible period of disruption. Basically, what worked yesterday and what works today may be almost as good is not going to work at all on the paradigm of tomorrow. We’re at the top of the proverbial S-curve and, if we spend dollars in time and energy advancing on the same path, we’re only going to go down the wrong side of the S-curve. We really need to jump onto a new curve. That’s where we’re counseling clients to spend as much money as they can on thinking about voice as one investing in machine learning as another, which is probably why the whole CX category, as a whole, is so hot right now because there is a lot of good information, insights, and data that’s coming in all the time that you can analyze. You’ve given us a lot of value today. I’m really appreciative. This next question is your right hook opportunity. You could tell our audience maybe a little bit about what Kantar is offering right now that’s got you guys really excited. Ann – Well, I would actually say related to what we’ve just been talking about: the work that we are doing in the field of Artificial Intelligence really excites. Now it also scares me a little bit because the area that we’re primarily applying Artificial Intelligence is in the space of creative; so, it’s a really interesting balance of art and science. And we talked before about the notion of Human Intelligence. This is a space where you can never leave the human element behind. You can never leave behind the idea of human-led storytelling. But what Artificial Intelligence is allowing us to do is to get more into a data-driven optimization space. And we are focusing on three primary areas: one is the classification of creative. How can you get to better tagging of assets within creative to understand what the parameters you should operate in? What works better for your brands versus the competitor’s? What are some of the subtle cues that you can include in your creative to make it better? The second is diagnostics. Being able to use natural language processing to better understand how people are interpreting the stories that we are telling them. Do they actually get the key themes? Going back to the conversation we were just having about voice devices, being able to get people to just talk about a piece of creative that they may have just seen so that connecting the visual experience with the voice experience and getting that understanding and that diagnostic of creative using Artificial Intelligence. And then the third is prediction. Stephen had mentioned earlier we have this amazing analytics team, and what they are doing within the creative space is very impressive in terms of getting to a better understanding of predictabilities. So, what if you had an ad that did well in the United States, would it actually transfer to another market? Would you be able to use it intact in India? Or would you be able to adhere to or are you adhering to certain brand guidelines with your creative and not having to make that a manual process? So there’s a huge amount of efficiency that can be driven by better application of Artificial Intelligence in the creative process, but at the same time, we can’t lose that human element. Stephen – I think Ann, as I always do, I think she’s absolutely spot-on. Then I have to add my oddball build on what she said. Rather than what products I’m excited about, I’ll talk about what capability I’m excited about that we’re trying to empower our clients with. The analogy that I would use is a juggler. Jamin, have you ever tried juggling? I am embarrassed to say that I have tried on a number of occasions, usually lightly intoxicated, and always catastrophic outcome. Yeah, like losing arms and etc., etc., which is quite literally the picture of some real-life examples I’ve had trying to keep track of… I don’t even know what the word is. “Myriad” isn’t it, right? There’s just so much that a marketer has to pay attention to in order to be able to maximize the ROI on effort. And that’s a great application of AI where you’re addressing the creative because that’s the piece that’s the most difficult to separate in understanding those drivers, whether it’s video or elements of video or what have you. My guests today, Anne Green, Stephen DiMarco, thank you very much for being on the Happy Market Research podcast. Stephen – Jamin, thank you for having us. It was a great conversation. Stay tuned for this episode’s CEO hack brought to by Melanie Courtright of Research Now, SSI. And even as an Executive now, one of the things I try to make sure I do is stay close to consumers. The best way to help our brands and clients be close to their consumers is by being close to consumers ourselves, spend time following their trends, knowing what devices they’re using. There’s nothing more important than just really understanding consumers if you want to help clients make decisions about them. I absolutely love how she talks about one of the keys to success. And this is not just for CEOs. This is for everybody inside of an organization. We have got to add value to our customers and the only way we do that is to operate with the lens that they are operating in. And that is, we have to figure out who their customer is and get to know that customer because that provides the context of the insights that we deliver for them. And thank you everyone who been tuning in. As always, if you are listening, like Shar, leave your feedback. It is a way that other insights professionals can find this podcast and take advantage of the knowledge. Have a great rest of your day!